Physicians at the Pain Center at Cedars-Sinai are using a new treatment approach for incapacitating facial pain that has shown promising results. 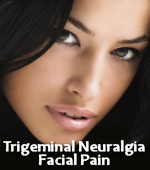 An estimated 45,000 Americans suffer from trigeminal neuralgia, a disorder that causes nerves in the face to send intense pain signals to the brain. Many more suffer a continuous pain following nerve injury. Procedures commonly seen as precipitating factors are dental therapy, facial cosmetic surgery, sinus surgery and many other events. The highest risk group is women in their 40s, possibly due to estrogen adversely affecting non-opioid central pain inhibition. Traditionally, pain in the trigeminal nerve following trauma is treated with a stellate ganglion block, a type of sympathetic nerve block to alleviate pain. Approximately 50 percent of patients will respond to this form of treatment, according to Steven Graff-Radford, D.D.S., co-director of the Pain Center. For many patients, however, this type of block is ineffective. To treat their pain, Graff-Radford and Christopher Zarembinski, M.D., are exploring the use of both a sympathetic and para-sympathetic nerve block aimed at the sphenopalatine ganglion. The treatment has been in use for about three months at the Pain Center. "This treatment, in combination with appropriate medication, may serve to reduce the incapacitating facial pain that follows nerve trauma," says Graff-Radford. "So far, our assessments indicate dramatically improved results with up to 80 percent of patients are experiencing pain relief." Long-term responses are yet to be determined. "Our next step is to begin investigating whether radiofrequency ablation of the sphenopalatine ganglion would be beneficial in the treatment of traumatic trigeminal neuralgia," he says. For more information, please contact Jointvitality at (866) 608-8227 or e-mail jointvitality@yahoo.com.